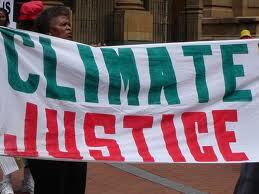 Improving IPCC Working Group III’s Analysis on Climate Ethics and Equity, Second In A Series. This is the second in a three part series examining the ethical and justice issues discussed by the IPCC Working Group III in its 5th Assessment Report (AR5) . In the first entry in this series we concluded that although the recent IPCC AR 5 Working Group III report is laudable improvement over prior IPCC reports in regard to identifying ethical and equity issues that should be considered in developing climate change policy, some criticisms are also warranted of how IPCC has articulated the significance and implications of the ethical, justice, and equity principles that should guide nations in developing climate change policies. In short, we will argue improvement is possible in how IPCC deals with ethics, justice, and equity issues entailed by climate change policy-making despite very significant improvements on these matters in the AR5 report compared to prior IPCC reports. In this entry we will examine several preliminary ethical and justice issues raised by the new IPCC Working Group III Chapter 3, on Social, Economic, and Ethical Concepts. The last entry will continue the examination Chapter 3 and then turn to Chapter 4 on Sustainable Development and Equity. And so it is not IPCC’s role to do ethical analyses of policy issues that raise ethical questions. 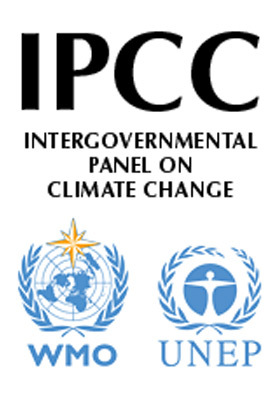 IPCC can, however, distinguish between prescriptive and descriptive questions that arise in relevant socio-economic literature about climate policy-making, identify important ethical and justice issues that arise in this literature, where there is a consensus on ethics and justice issues in the relevant literature describe the consensus position, where there is no consensus on ethical and justice issues describe the range of reasonable views on these issues, and identify hard and soft law legal principles relevant to how governments should resolve ethical and justice issues that must be faced by policy-makers. who is responsible for climate refugees and what their responsibilities are. 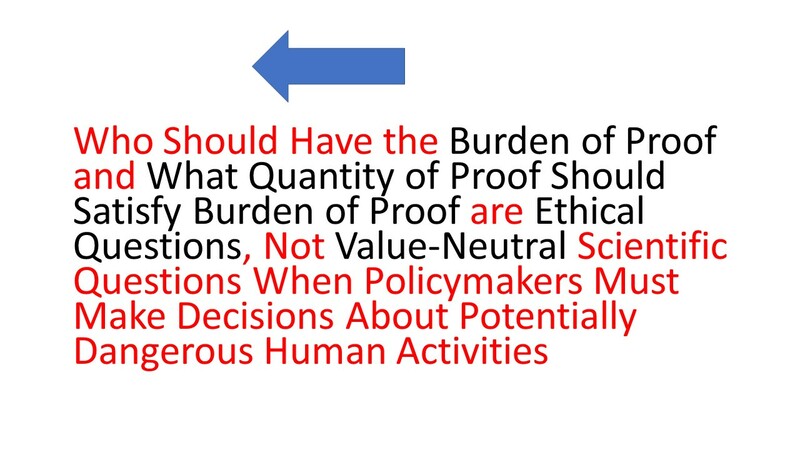 On some of these issues, the recent IPCC report included a good summary of the extant ethical literature, on other issues important gaps in IPCC’s analysis can be identified, and lastly on a few of these issues, IPCC Working Group III is silent. 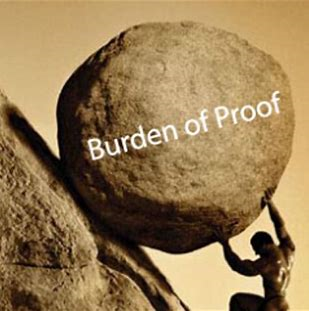 IPCC reports cannot be expected to be exhaustive on these matters and therefore gaps and omissions in the IPCC reports in regard to ethics and justice issues relevant to policy-making is not necessarily a criticism of IPCC and is here pointed out only for future consideration. In fact, IPCC’s work on the ethical limits of economic arguments is a particularly important contribution to the global climate change debate. What is worthy of criticism, however, is if IPCC’s conclusions on guidance for policy-makers is misleading on ethics and justice issues. Perhaps the most important practical ethical and justice issues raised by Working Group III’s work on ethics is its conclusions on the ethical and justice limitations of economic analyses of climate change policy options. This topic is enormously practically important because nations and others who argue against proposed climate change policies usually rely on various economic arguments which often completely ignore the ethical and justice limitations of these arguments (In the case of the United States, see Brown, 2012.) Because most citizens and policy-makers have not been trained in spotting ethically dubious claims that are often hidden in what appear at first glance to be “value-neutral” economic arguments, IPCC’s acknowledgement of the ethical limitations of economic arguments is vitally important. 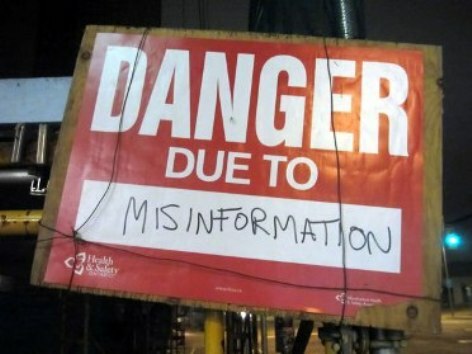 It is also practically important because the first four IPCC reports, although not completely ignoring all ethical and justice problems with economic arguments about climate change policies, failed to examine the vast majority of ethical problems with economic arguments against climate change policies while making economic analyses of climate change policies the primary focus of Working Group III’s work thereby leaving the strong impression that economic analyses, including but not limited to cost-benefit analyses, is the preferred way to evaluate the sufficiency of proposed climate change policies. On this matter, the AR5 report has made important clarifications. Economics can measure and aggregate human wellbeing, but Sections 3.2, 3.3 and 3.4 explain that wellbeing may be only one of several criteria for choosing among alternative mitigation policies. Other ethical considerations are not reflected in economic valuations, and those considerations may be extremely important for particular decisions that have to be made. For example, some have contended that countries that have emitted a great deal of GHG in the past owe restitution to countries that have been harmed by their emissions. If so, this is an important consideration in determining how much finance rich countries should provide to poorer countries to help with their mitigation efforts. 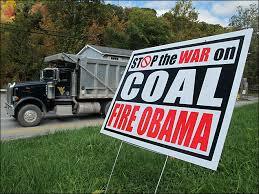 It suggests that economics alone cannot be used to determine who should bear the burden of mitigation. What ethical considerations can economics cover satisfactorily? Since the methods of economics are concerned with value, they do not take into account of justice and rights in general. However, distributive justice can be accommodated within economics, because it can be understood as a value: specifically the value of equality. The theory of fairness within economics (Fleurbaey, 2008) is an account of distributive justice. It assumes that the level of distributive justice within a society is a function of the wellbeings of individuals, which means it can be reflected in the aggregation of wellbeing. In particular, it may be measured by the degree of inequality in wellbeing, using one of the standard measures of inequality such as the Gini coefficient (Gini, 1912), as discussed in the previous section. The Atkinson measure of inequality (Atkinson, 1970) is based on an additively separable social welfare function (SWF), and is therefore particularly appropriate for representing the prioritarian theory described in Section 3.4.6 . Furthermore, distributive justice can be reflected in weights incorporated into economic evaluations as Section 3.6 explains. Simply identifying the level of inequality using the Gini Index does not assure that the harms and benefits of climate change policies will be distributed justly. For that a theory of just distribution is needed. The Gini index is also at such a level of abstraction that it is very difficult to use it as a way of thinking about the justice obligations to those most vulnerable to climate change. Even if there is strong economic equality in a nation measured by the Gini index, one cannot conclude that climate change policies are distributively just. Economics is not well suited to taking into account many other aspects of justice, including compensatory justice. For example, a CBA might not show the drowning of a Pacific island as a big loss, since the island has few inhabitants and relatively little economic activity. It might conclude that more good would be done in total by allowing the island to drown: the cost of the radical action that would be required to save the island by mitigating climate change globally would be much greater than the benefit of saving the island. This might be the correct conclusion in terms of overall aggregation of costs and benefits. But the island’s inhabitants might have a right not to have their homes and livelihoods destroyed as a result of the GHG emissions of richer nations far away. If that is so, their right may override the conclusions of CBA. It may give those nations who emit GHG a duty to protect the people who suffer from it, or at least to make restitution to them for any harms they suffer. Even in areas where the methods of economics can be applied in principle, they cannot be accepted without question (Jamieson, 1992; Sagoff, 2008). Particular simplifying assumptions are always required, as shown throughout this chapter. These assumptions are not always accurate or appropriate, and decision‐makers need to keep in mind the resulting limitations of the economic analyses. 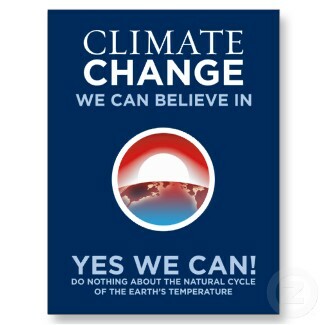 For example, climate change will shorten many people’s lives. This harm may in principle be included within a CBA, but it remains highly contentious how that should be done. Another problem is that, because economics can provide concrete, quantitative estimates of some but not all values, less quantifiable considerations may receive less attention than they deserve. This discussion does not adequately capture serious ethical problems with translating all values into monetary units measured by willingness to pay or its surrogates nor that such transformation may greatly distort ethical obligations to do no harm into changes in commodity value. Again this discussion does not adequately describe the ethical problems with economic determinations of all values. In fact it leaves the impression that if non-market values can be discovered the problems of transforming all values to commodity values are adequately dealt with. Although economic analyses can provide policy-makers with valuable information such as which technologies will achieve ethically determined goals at lowest cost, thereby providing criteria for making remedies cost-effective, there are serious ethical problems with cost-benefit analyses used prescriptively to set emissions reductions targets. Some of these are alluded to in IPCC Chapters 3 and 4, others are not acknowledged. Because of the prevalence of cost-benefit justifications for climate change policies, future IPCC reports could make a contribution by identifying all of the ethical issues raised by cost-benefit analyses. This provision can be understood as condoning a consequentialist approach to climate policy that fails to acknowledge deontological limits. Since when any nation makes policy on climate change it affects poor people and vulnerable nations around the world, there are serious procedural justice issues which go unacknowledged in this section and, for the most part, all throughout Chapter 3. 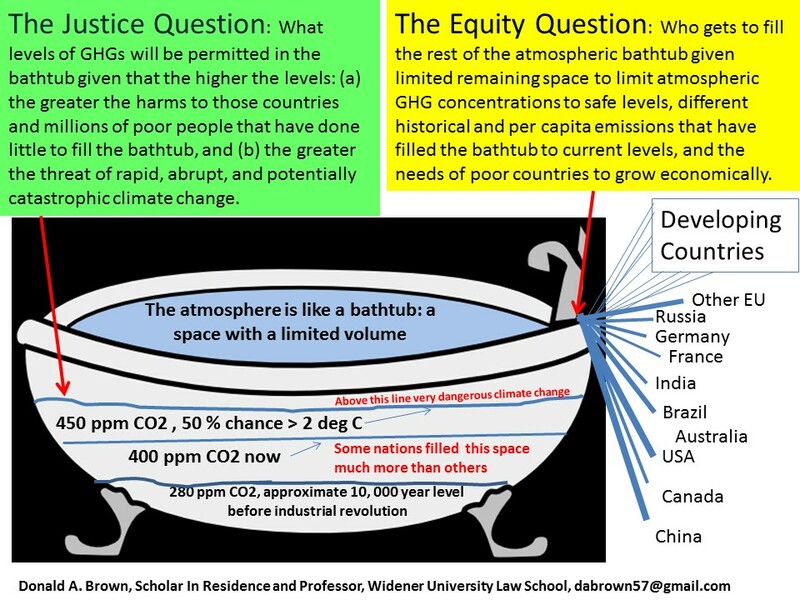 Nowhere does the chapter acknowledge that when a climate policy is under development at the national level, nations have no right to compare costs to them of implementing policies with the harms to others that have not consented to the method of valuation being used to determine quantitative value. This statement fails to acknowledge that emissions reductions amounts should be different in different places according to well accepted principles of distributive justice. 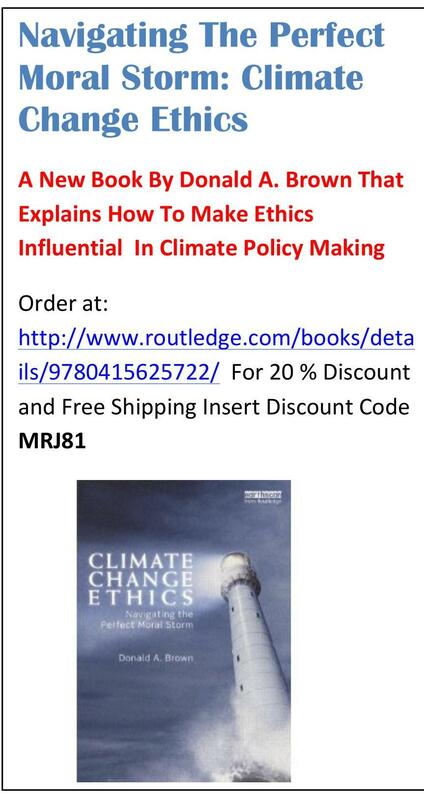 Although other sections of the chapter acknowledge that responsibility for climate change is a matter of distributive justice, this section and others leave the impression that climate policy can be based upon economic efficiency grounds alone. The way to cure this problem is to continue to reference other sections that recognize ethical limits in setting policy on the basis of efficiency. Environmental Sufficiency. There are many technical challenges in assuring that a project in one part of the world that seeks to reduce ghg by an amount that otherwise would be required of a polluter will actually succeed in achieving the reductions particularly when the method of reduction is reliant on biological removal of carbon. Permanence. Many proposed projects for reducing carbon in one part of the world to offset reductions ethically required in another part of the world raise serious questions about whether the carbon reduced by the project will stay out of the atmosphere forever, a requirement that is required to achieve the environmental equivalence to ghg emissions reductions that would be achieved at the source. Leakage. Many proposed projects used to offset emissions reductions of high-emitters raise serious questions about whether carbon reduced by a project at one location will result in actual reductions in emissions because the activity which is the subject of the offset is resumed at another location. Additionality. A project that is proposed in another part of the world to offset emissions reductions of a high-emitting entity may not be environmentally effective if the project would have happened anyway for other reasons. Allowing Delay In Investing In New Technology. The ability to rely on a cheaper emissions reductions project in another part of the world as a substitute of reducing emissions creates an excuse for high-emitting entities to delay investment in technologies that will reduce the pollution load. This may create a practical problem when emissions reductions obligations are tightened in the future. Some of the gaps in Chapter 3 on ethical issues raised by climate change policy-making include: (1) ethics of decision-making in the face of scientific uncertainty, (2) whether action or non-action of other nations affects a nation’s responsibility for climate change, (3) how to spend limited funds on climate change adaptation, (4) when politicians may rely on their own uninformed opinion about climate change science, and (5) who is responsible to for climate refugees and what are their responsibilities. The last entry in this series will continue the analyses of IPCC Chapter 3 on Social, Economic, and Ethical Concepts and Chapter 4 on Sustainability and Equity.